I am half-Swiss and half-Danish of origin, born in 1976. I grew up in Valais, the Alps canton in Switzerland. There, I first learned to ski, hike and bike in the mountains, before learning to fish. 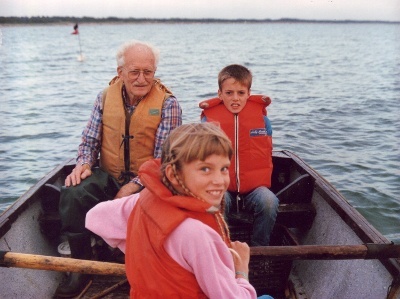 Indeed, it is my Danish grandfather “Morfar”, who put me first in contact with fish when I spent my summer holidays as a little boy, along with my sister Tania, in Denmark. From there on, I got very addicted to fishing. First with a spinning rod, and then the fly rod took over. I studied communications engineering at the Swiss Institute of Technology, in Lausanne, Switzerland. At age 21, I spent one year as an exchange student in Pittsburgh, Pennsylvania. There, I got to catch my first steelhead in one of the Lake Erie tributaries. I rounded off my exchange year with a three-month road trip which brought me to fish several states such as Colorado, Wyoming and Montana (including the mythical Yellowstone National Park). The trip ended in the fabled Alaska state. 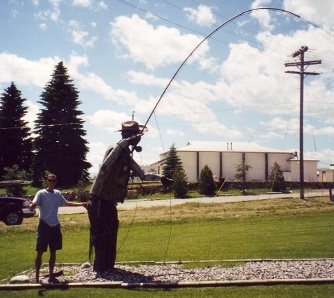 That year-long stay in the US was an eye-opener for me to the core fly-fishing world. After such a thrilling trip, I was quick to organize several others, which led me to Mongolia, Kamchatka, Argentina, Iceland, Kola, Nunavut, British Columbia, French Polynesia, in pursuit of trout, char, salmon, steelhead, or other exciting fish… Today, I am constantly seeking new exciting destinations. I like to fish with single-handed rods, but what I enjoy most is swinging a fly with a Spey rod. I am also a passionate fly-tier, having tied flies for different specialized shops in Copenhagen, Denmark. I even won a tying competition once. My articles and photographs have been published in various fishing magazines. When not with a fly rod, you might find me with my trustful Nikon reflex camera in hand, wandering in the wild.